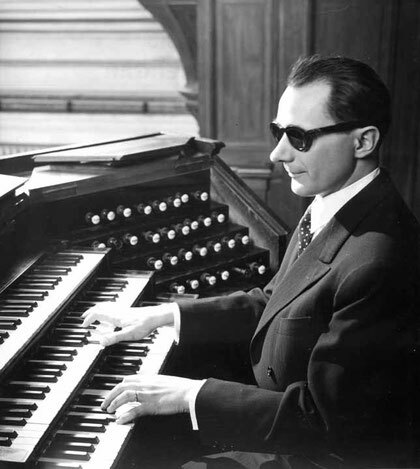 A French organist who was blind from infancy. He studied with Marcel Dupre and Louis Vierne. 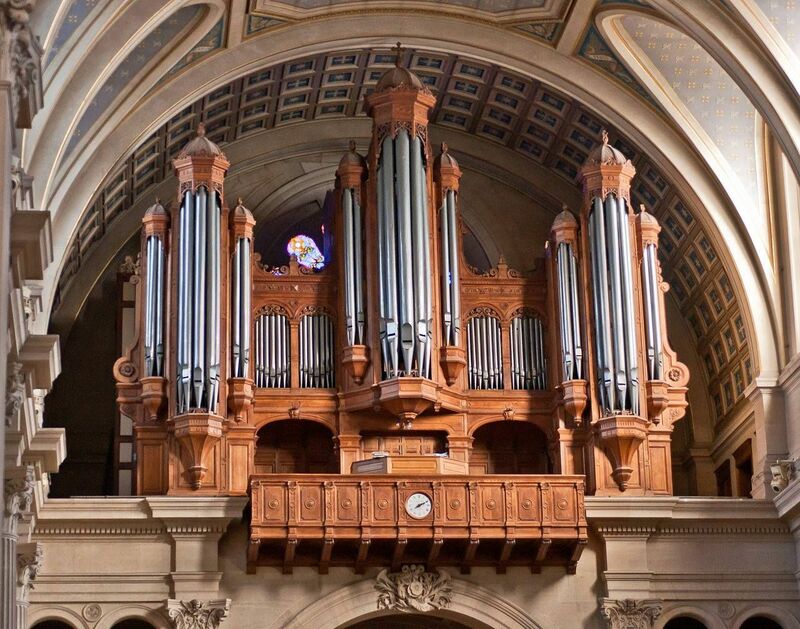 He eventually became organist of St François-Xavier, Paris in 1946, after having other various roles before this. The organ at the time was 3 manuals with 58 stops. The Positif was contained in a Swell box. The organ has since been rebuilt following Litaize's death. His pupils included Antoine Bouchard and Olivier Latry,the latter of which changed his career path after hearing Litaize play at the Cathedral of Boulogne-sur-Mer. This piece calls for 8,4,2 on the Grand coupled to 8,4,2, Mixtures and Reeds 8,4 on the Recit. I didn't have the recit box open all the way to start with. After playing through the piece a few times, I took the liberty to add a crescendo when the key changes, opening the box at this point. Later, mixtures should be added to the Grand. Because of the crescendo, the piece ends with a descrescendo, which also isn't written into the music, but I made it coincide with the rall. at the end.